Original Gold Key "Space Family Robinson" comic book from the classic TV show "Lost in Space." 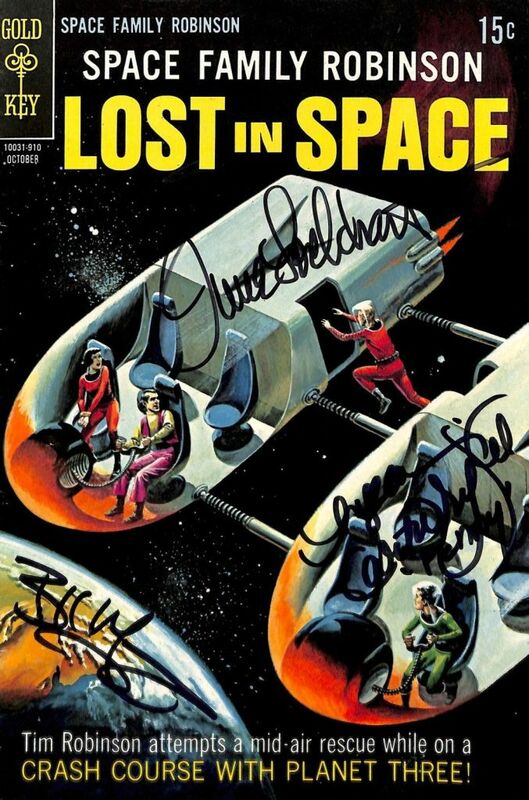 Autographed by "June Lockhart," (Maureen) "Angela Cartwright (Penny)," and "Bill Mumy. (Will)."